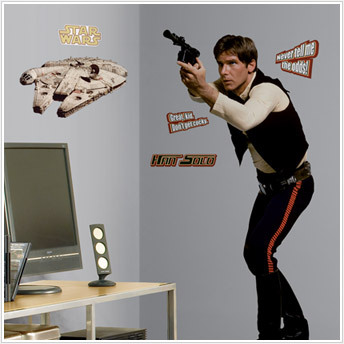 Add some Star Wars action to your walls with this giant wall decal of Han Solo. Application is a cinch: just peel each pre-cut decal from the liner sheet and assemble it on the wall. 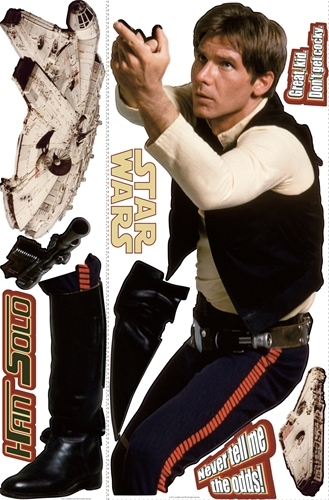 Han Solo and the included additional elements are completely removable and repositionable, so there's no need to worry about getting things perfect on the first try. 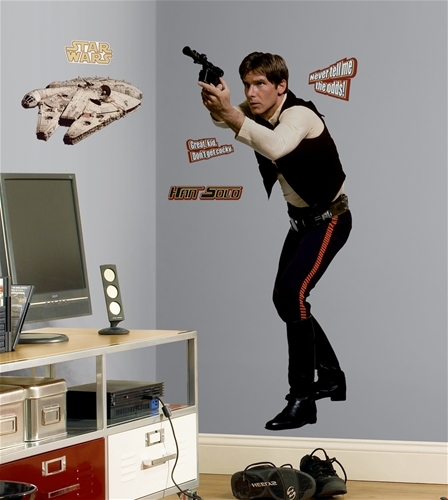 A great pick for fans of any age, or for collectors who want to add some fun elements to their walls!